Another month has passed (actually two, but who’s counting?) so here’s a bumper favourites to make up for it. Your face may look 22, but your hands always give you away! It may be a little premature to start stressing about this, but it's never too soon to look after your skin... especially on hard working hands. Liz Earle Superskin Hand Serum is a luxurious treatment packed full of goodies - organic rosehip oil, pomegranate extract and Vit E, to name just a few, that visibly plump and smooth the skin. I've been slapping this on at night and popping over some cotton gloves and I swear I've noticed the difference. Hands be young again! A firm favourite these last few weeks. I won't bore you with all the details again (you can read the full review here) but I continue to be amazed at how it can create brows, even where there's no hair! I was going to buy the eye tonic, but my friend Katie (fanatical Liz Earle devotee) said this was the best Liz eye product, in fact one of her best products full stop! It's so good it deserves its own post, but for now I’ll just say this – she wasn’t wrong! This little wonder brightens and soothes pesky eye bags and the light reflective particles help make me look awake, even when I'm secretly asleep. I scored this from my little sister. Thankfully she’s not interested in brown liner – her loss, my gain. Ya’ll know how much I love brown eye liner by now; I go on about it enough. For some reason I’ve never used a gel brown. No surprises Bobbi Brown, queen of the gels doesn’t disappoint. Formula, opacity, longevity – all top notch. 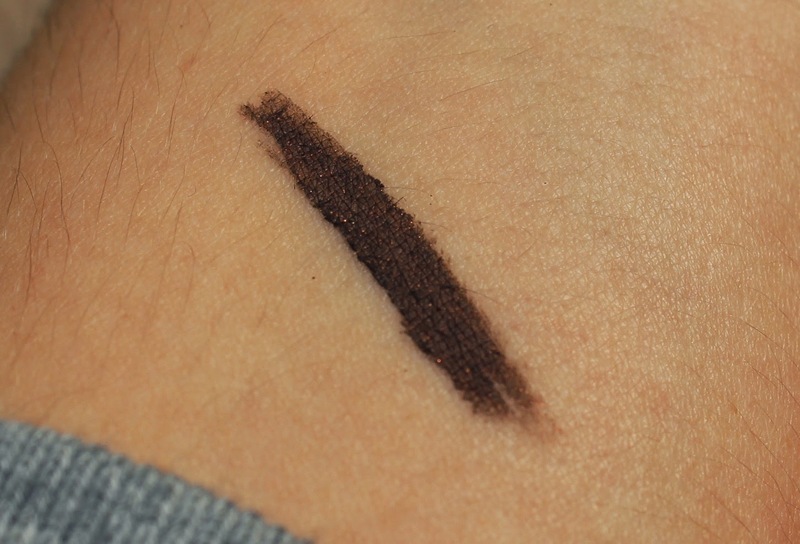 The colour is just beautiful – dark chocolate brown with very subtle golden shimmer. What I love about it is the way it shimmers in the sunlight and the colour really brings out the green in my eyes. You know I lurve EOS but I've been enjoying using this Nuxe lip balm I picked up in Paris. It’s a super rich and luscious lip balm. It stays on the lips for ages and has a natural matte finish, which makes a nice change from the glossy, shiny kind... plus it smells like lemon curd. Say.no.more. Props to Revlon for bringing a touch of 1920's style Hollywood glamour to present day. 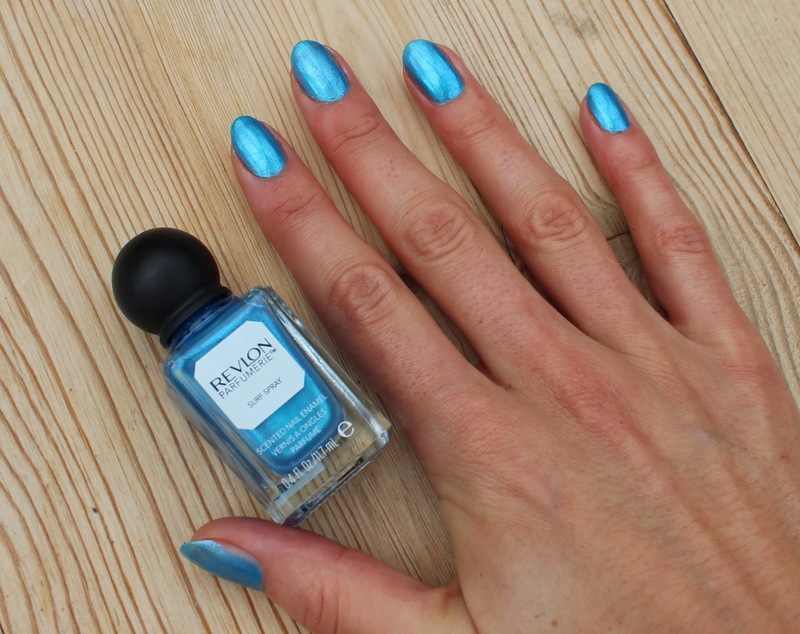 Surf Spray is an aqua jelly style polish with pretty blue micro glitter. What it lacks in opacity (it's a four-coater) it makes up in style - a pretty vivid blue that smells ocean fresh. Used these for the first time in a while (been cheating on them with Enrapture Heated Rollers) and I’d forgotten how much I love them. Let’s be clear, I can’t sleep in them, except maybe 2 or 3 around the crown. Tried that once, never again. I just pop them in whilst I’m getting ready, set them with the hair dryer or wear them in the house when I’ve got nothing better to do. The results – big, bouncy, long lasting volume. omg I LOVE YOUR BLOG where did you get your template?